My good friend, Pam, just recently got married and I had the honor of illustrating her wedding invitation and this keepsake portrait. 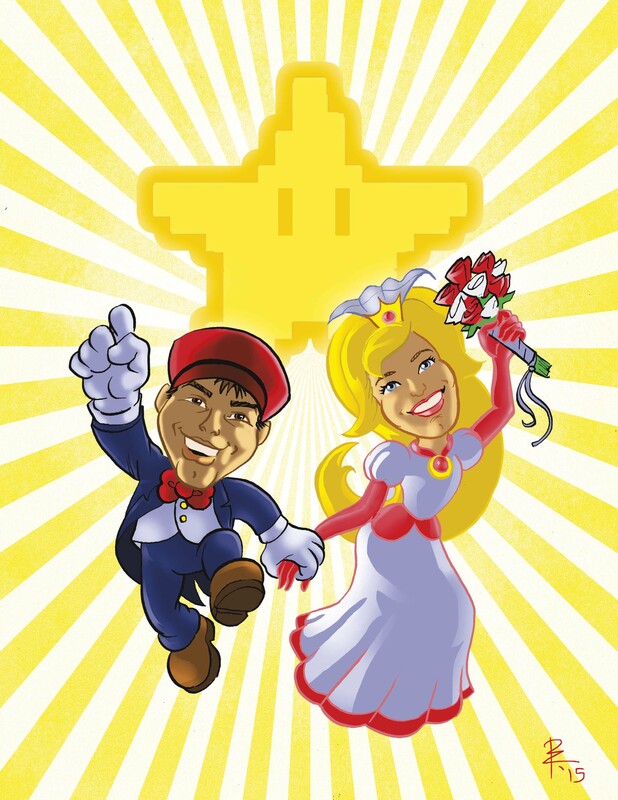 The wedding had a “Super Mario” theme and all of the guests signed a framed print of this illustration at the wedding reception. It was illustrated with brush pen and colored in Photoshop. Previous postCongratulations Pam and Jason!